Many come looking for something more intangible. They are not coming for truth. They believe in symbols, in spirit of ancient legends. Only those who believe and are pure of heart could achieve their goals. 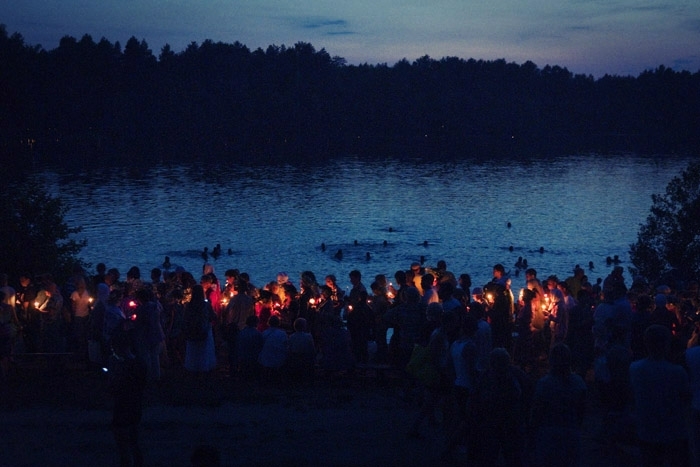 Believers come three times around the lake as they pray. Girls toss flowers into rivers. All of them are searching an ideal life or an ideal mystery.